State Representatives Ed Perlmutter (D-CO) and Denny Heck (D-WA), along with a bipartisan group of 16 other lawmakers, introduced House Resolution 2076 today, a proposal to allow cannabis businesses to access the banking system if following state law. 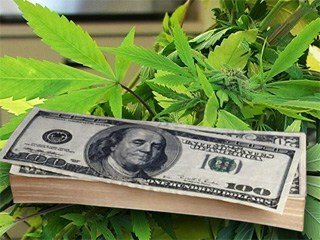 The bill – which is titled the Marijuana Businesses Access to Banking Act of 2015 – would update federal banking laws and regulations to protect banks from federal persecution if they decide to do business with cannabis outlets (whether recreational or medicinal) that are following their state’s law. He continues; “We’ve got to stop that trend, and with more states legalizing recreational or medical use of marijuana, no time is better than now to move forward with this change to the law”. House Resolution 2076 is sponsored by Representatives Earl Blumenauer (OR), Jared Polis (CO), Hakeem Jeffries (NY), Charles Rangel (NY), James McGovern (MA), Dina Titus (NV), Scott Peters (CA), Eleanor Holmes Norton (DC), Suzan DelBene (WA), Mike Coffman (CO), Diana DeGette (CO), Julia Brownley (CA), Zoe Lofgren (CA), Brad Sherman (CA), Kyrsten Sinema (AZ), and Chellie Pingree (ME).